We had a couple pretty big stories hit the web this week, along with a pretty major release as well. 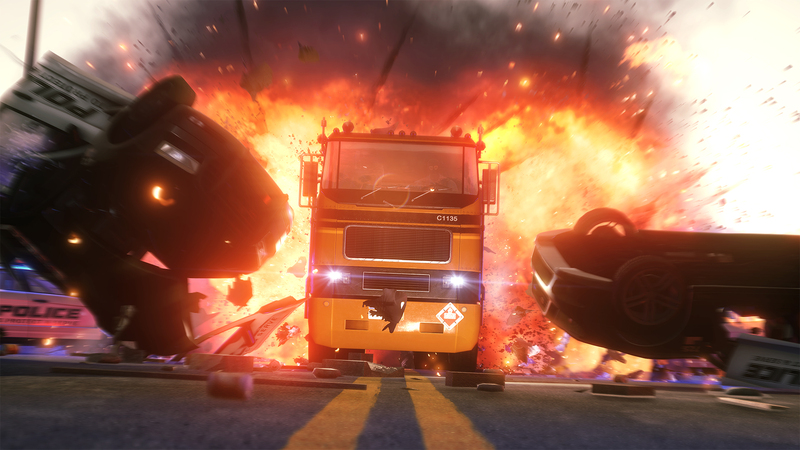 Just in case you missed it, Battlefield: Hardline hit stores this week, and aside from a DDoS attack on launch day, the launch has actually been pretty smooth – much much more so than Battlefield 4‘s launch was. But I’ve been talking Hardline all week – and will be more next week too, so let’s hit some of those news stories. Early on in the week, Jeff Minter, a long-time developer claimed that Atari was pursuing legal action against him for his game TxK. TxK is another tube-based shooter, which is where the issues lie. Atari claims that TxK is ripping off their game Tempest 2000, which was also developed by Minter before he left the company. Right now it’s a lot of “He-said, They-said,” but I get the feeling there’s a lot more to come out. The burden really is on Atari here to prove that they’ve been trying to protect their IP – which is really what this is all about. I don’t think this story is going to be going away quickly, or quietly. One of the odder stories that I’ve seen recently has to be the current status of Hideo Kojima at Konami. 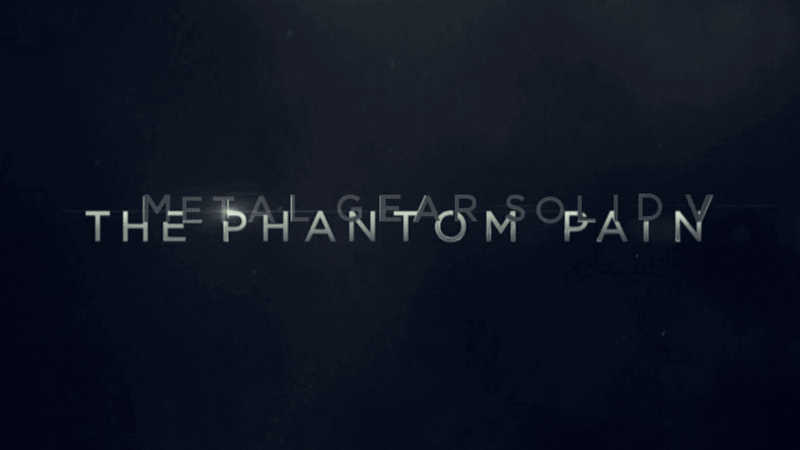 They’ve pulled his name off of a lot of the promotional material for the upcoming Metal Gear Solid V; but at the same time have said that he is very much part of the project still. It looks a lot like he might be stepping away from Konami once the development for the game is done with – he’s already said that this will be his last Metal Gear Solid game. Neither side is really saying much concrete right now, so there’s a lot of rumor going around. After some launch day DDoS issues – which I talked about yesterday here – I was able to really sink my teeth into a few good hours of Battlefield: Hardline online. My buddy from college and I have been playing together – a two man squad – and messing around pretty much solely in the new modes. Combined with what I played in the Beta last month, I think I might be able to offer up a couple tips that might help you help your team to victory. Over the next couple days I’ll hit the different game modes I’ve been playing, as well as each of the four classes. We’ll start today with Hotwire. The mode I’ve played, admittedly, the least in the full game; Hotwire is probably the easiest to get acquainted with. If you’ve played any previous Battlefield game, you already have the foundation for Hotwire ingrained in your gaming memory. At its core, Hotwire is classic Battlefield Conquest mode. Both are large scale, combined arms combat; both involve fighting for control of set points to decrease the other team’s “tickets” (essentially respawns). The difference is that in Hotwire those command points are actually all vehicles – and you gain control of them by driving fast. Conquest always demanded a balanced team loadout – the more vehicles out there, the more important that engineers were. Now, in Hardline there isn’t a class called engineer – instead that role is filled by the mechanic class, among other roles. Just because you’re trying to control cars though doesn’t mean you need a full team of mechanics – that’s actually a really bad idea. Balance is still important – the mechanic is built for close range combat, with SMG’s as their primary weapon. The maps in Hotwire are all huge – they have to be to accommodate the vehicles. So bringing a balance is still very important. If you’re playing with friends in a squad, try to split the roles – operators are always nice, for the healing; enforcers can keep you supplied, as well as causing damage, and professionals are great at long range spotting. Which brings me to another little skill that I think is really under used – across all the game modes. 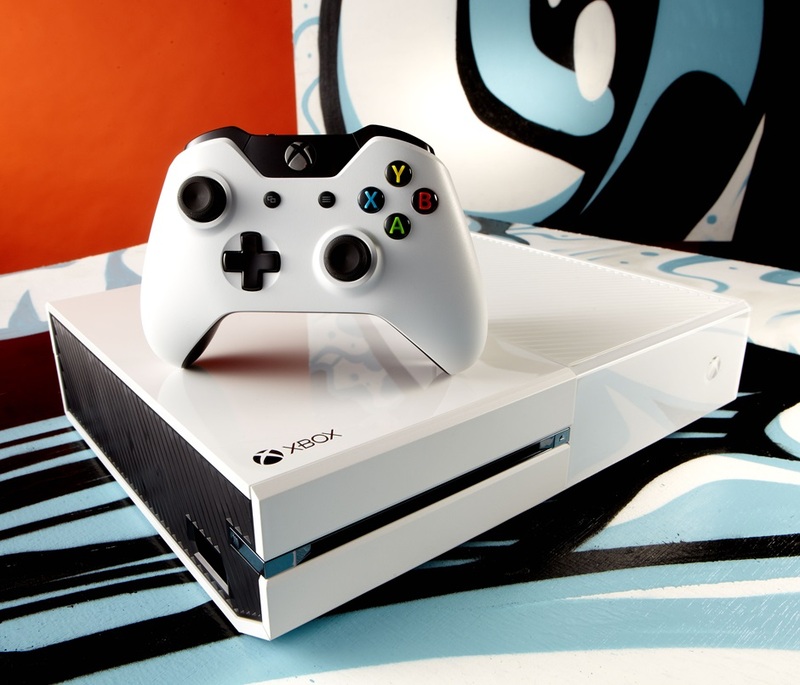 Battlefield has the ability to tag enemies – on the Xbox One it’s the Right Bumper. Use that button! Regardless of how many you spot, how far away they are, or even if you kill them right away – it’s an insanely useful feature. It marks enemies on the radar, as well as highlighting them with a red triangle. It makes target acquisition way easier, and you can follow them as they find cover. You get points for any kills on targets you mark, so it benefits not only the team, but you as well. Add in that any team points are boosted within a squad, and spotting is even more beneficial. Eventually it should just become second nature – see an enemy, spot them, then engage. That whole sequence takes a split second – and helps no matter the outcome. As a professional, armed with a sniper rifle, you can spot enemies that are even farther away – that really is as much a part of their role as any other. It’s a little thing, but I really haven’t seen a ton of it online – it could be because there’s a lot of new Battlefield players. As for Hotwire specific tactics – it’s really very similar to Conquest. Play it a lot like you would Conquest – focus on the control points, spot enemies, and don’t be afraid to focus on a section of the map. The maps aren’t quite as large as in Battlefield 4, but they’re still plenty big enough to divide up into sections. For example, I’ve played Dust Bowl the most on Hotwire – it’s a pretty big map, built around a small desert town. As such, the control points will probably be driving around the perimeter – which is where your team’s vehicles come into play. But there’s nothing at all wrong with setting up shop around the respawn locations for the control points. If your team can control the spawn points, you can easily gain control of the conquest points. Don’t feel like you have to chase the points all around – if you don’t like being in vehicles, for whatever reason, don’t use them. There are other roles that need to be filled. For example – enforcers can purchase breaching charges – the Hardline equivalent to C4. Those breaching charges can be used, to great effect, to plant traps for those enemy vehicles. There are plenty of houses and trailers to hang out in to lie in wait, and detonate them at the right time. Take your squad, find a section of the map that impacts the match, and control it. Those mechanics that I was talking about earlier too are incredibly important. Any control point that your team has should have at least one mechanic with it – both for defense against enemy vehicles as well as healing your car. The developers themselves shared that Hotwire+mechanic+repair torch=lots of cash. Hotwire is the one game mode where it’s really okay to unbalance a squad with a certain class. Whether your a squad that is built around spotting with professionals, a squad that likes laying explosive traps and resupplying your team, a squad that constantly heals each other or one that is built around vehicle play, build your squad appropriately. The nice thing with Hardline‘s unlocking system is that as long as you have the money, you can buy whatever you want. So the weapons you bring in are really more a matter of personal preference. I was pretty much exclusively playing the enforcer yesterday, using the 870P Magnum shotgun the most. It’s a powerful close-mid range weapon, and is actually pretty effective against “soft” vehicles, by which I mean the cars and bikes – not so much the armored SUV’s. So even shotguns – weapons usually saved for smaller maps/interior combat – are useful in Hotwire. But if you aren’t a shotgun fan – which I really recommend turning into – the enforcer also has access to battle rifles – powerful rifles with lots of recoil. They give the class some range. At the end of the day, Hotwire really plays a lot like Conquest, and as such you should approach it like that. Teamwork is really important, but it doesn’t need to be across the whole team. Use teamwork within your squad and you’ll end up with a pretty high score. If you can manage to grab control of one of the points, just focus on driving – you have a whole team of other people that can get kills. Your goal should be staying alive, driving fast and racking up points. As long as you keep control and driving, you’ll have a huge player score – and you’ll be playing the objective, so you’ll also earn reputation for your class boosts. Battlefield has always been a game that’s way more fun when you actually play the objective, and Hotwire really rewards you for doing it. I had a perfect plan for these next few weeks – Battlefield: Hardline posts on tips for each class in multiplayer, plus one on my final thoughts on the campaign; combined with a bunch of stuff once Borderlands: The Handsome Collection comes out next week. And for a couple hours, that plan was going totally fine. Then me, and my college buddy I was playing with, starting being disconnected from games – and being unable to reconnect to any servers. Now, it bugged me, just because we were playing pretty well at that point. But I was able to switch over to the campaign and play that for a bit longer – I’m about halfway through it now. What really bugged me was what I saw on Twitter before I went to bed. The official Battlefield Twitter account was aware that the Xbox One was having server issues. They went on to announce later that the issues were due to yet another DDoS attack. There’s a couple of major problems I have here – one is that this is just the next in the line of games to get attacked on launch day. The other major issue I have is that this attack was directed at the Xbox One servers primarily – I saw that the PS4 was also having some minor issues. That bugs me mainly because I play on the Xbox One – but also because there’s intent behind it. Normally, I think it’s assumed that these DDoS attacks are more along the lines of shotgun attacks – broad, unfocused attacks, just designed to bring everything to a stand-still. This was an attack aimed squarely at the Xbox – which while it’s lagging behind the PS4 a little bit, the shooter market has always been stronger on the Xbox. Which brings me to what really is my biggest issue with this whole attack. It’s still unresolved – as I sat down to write this post, Battlefield tweeted that they were resetting the servers. And all for what – I do not understand what these DDoS attacks accomplish. All they do is annoy a fanbase that paid good money to play a game they like on launch day – the day before any jaded players populate servers. Instead we all get to deal with lag, disconnects and, ultimately, are unable to play. It’s the equivalent of being “that guy” at a party – drunk as hell and interrupting everyone else’s fun. I don’t know who is behind this DDoS attack – safe bet is Lizard Squad – but again, there’s really no positive outcome. And I don’t want to fall into the pattern of saying that, oh this is just part of gaming now, we get these awesome consoles, that we can’t use on launch day anymore. I’m not going to be naive and say that these attacks will stop completely, but I really don’t see why they have to happen every launch day. There’s another big launch next week – although I don’t really know if it’s the style game that would draw a DDoS attack – but I guess we’ll see. After some scrambling around, thanks to some pre-order shenanigans, I was able to get Battlefield: Hardline all installed and played a bit right after it went live last night. I hit multiplayer for a few matches before playing a bit of the single player. Let’s start with the single player I played first. 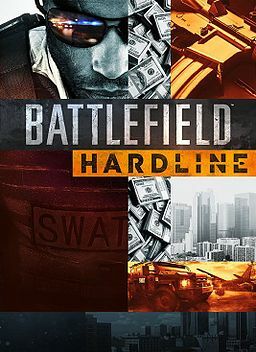 The single player has never really been the focus of the Battlefield series – the Bad Company games are probably the best example in the franchise. That said, this experience, at least so far, has been much more engaging than the campaign in Battlefield 4. I think shifting the setting to law enforcement goes a long way towards making the single player more engaging. I’m still early on in the campaign, but it so far is keeping me interested better than I may have expected. It’s far from perfect, the pacing is already kind of wonky, and the story itself is pretty cliched; but it’s a nice diversion from the online play. Which brings me to the bulk of any Battlefield game – the online competitive multiplayer. I mentioned back while the beta was live that the beta was actually more stable than Battlefield 4 was at launch. That improvement in the servers from the launch of Battlefield 4 up through today’s launch has helped this game tremendously. This first week is always so important for an online game – can the servers hold up to the launch rush well enough so players stick around. The hour and half or so that I played last night – right at the launch on the East Coast – went really smoothly. I didn’t really encounter any lag that was noticeable – at least not to the point that it impacted the game. I messed around a bit with Heist – which was present in the beta, just limited to one map. I was able to play two maps last night – one in particular I have a few issues with. Downtown – which was in the beta, just not in Heist – really skews towards the police; or at least it feels like it could. The two loot placements are both really wide open, and if the cops park their Mobile Command Center in the right spot, they can lock down both. The extraction points are also interesting – one is on the roof of a high rise building, so that limits your options to get up there. It’s still in the growing phase, so there’s plenty of wiggle room still – but I do enjoy Heist as a game mode. The other mode I played wasn’t present in the beta – Blood Money. I only played it on one map – Derailed – but I think that’s honestly enough to get a good grasp on how it’ll play for a while at least. Blood Money is a bit hard to explain in terms of other, more common games. In the middle, there’s a pile of cash – you can grab up to ten piles yourself, which you’re then trying to bring back to your team’s vault. Matches are set to a 150 score limit, but that’s made a little tricky when you add in that each team can swipe some of that cash from the vaults. The only tricky thing is that can result in some pretty definite camping – but there’s plenty of other tactics that make the games not descend into camping fests. There’s still a couple modes that I haven’t really had much time to mess with quite yet – Hotwire was fun in the beta, but there is a game mode in there with no respawns. I probably won’t even play that – I’ve never been a huge fan of limited respawn games – the only one I liked was Last Titan Standing in Titanfall. In a game like Battlefield, where the time-to-kill is really short, game modes like that just don’t appeal to me. Instead I’ll keep playing Heist, Hotwire, Blood Money and Conquest. Overall, there’s a lot of good in Battlefield: Hardline – the multiplayer is actually a different enough experience from the previous entries to make this feel like a true next-step in the franchise. There’s still some work to do on consoles to really compete with Call of Duty or even Halo, but games like Hardline help. 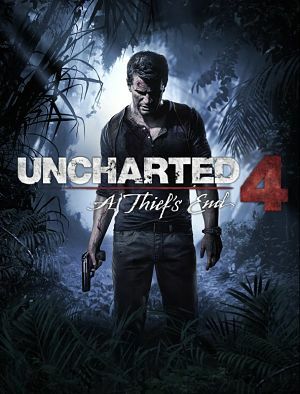 As long as it stays stable online, and if EA keeps improving the campaign, then I think we legitimately have another true contender on consoles. The shooter world is a little stagnant right now, nothing particularly exciting out now – but Hardline helps reinvigorate the scene. It’s definitely worth picking up. If I were asked to pinpoint the one major difference between this console generation and the last, I think I would have to point at the focus around digital distribution. It has gone from being reserved for small, indie titles like on the Xbox Live Arcade, or being for titles 3 months after launch; to each console’s focus for Day One delivery. Both consoles now support pre-purchase digitally, as well as pre-install (Xbox One only for selected titles right now). But both consoles still support physical media – and the next console generation might as well. The problem lies with the consoles needing to install those physical discs still – there’s really no incentive to get the discs anymore. That said, there are still some of us that prefer them. I think it’s mainly because I grew up with physical being the only way to play the games. Old consoles had cartridges, even old PC games required the discs – for a time at least. I think because I grew up needing the physical media to play the games, I still feel like I do. On top of that, there’s something extra about the physical package. The art work helps add to the overall experience; there’s a distinct smell upon opening the case for the first time; and there used to be game manuals that were fantastic. Which brings me to my point today. 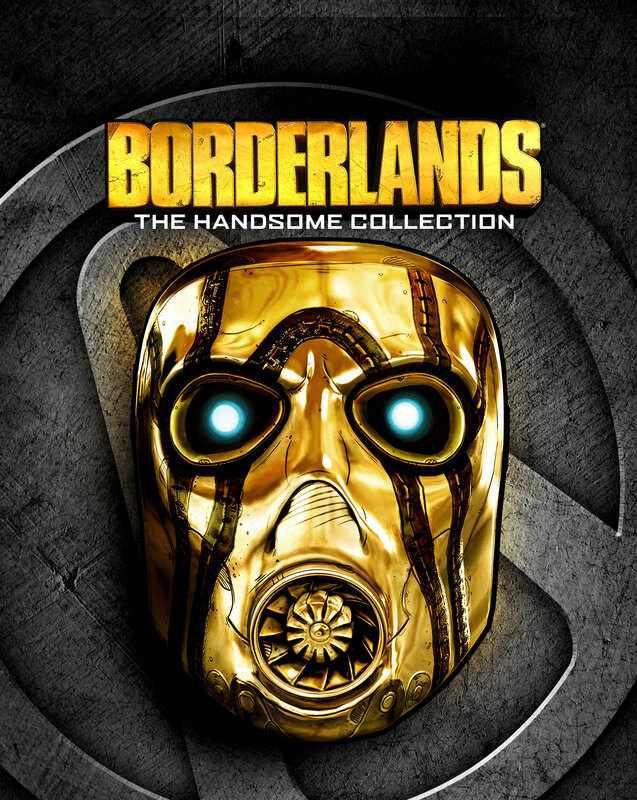 I’ve got both Battlefield: Hardline and Borderlands: The Handsome Collection pre-ordered. Both physically will be in my hands, on launch day. The problem I have is that EA has opened up Hardline to subscribers of EA Access – it’s technically live online right now. Now the only way I could play it today is to subscribe to EA Access, which is an extra $10 a month. Normally, I wouldn’t care about 5 days early access – but since Battlefield is primarily, for me, a multiplayer experience, I think there’s a major potential for some balance issues. Now I’ve seen some people saying that the version that’s live now is more of a demo, which would be fine. But I really don’t want to log online next Tuesday and see people at rank 50 already. I know that developers and publishers are pushing the digital – it’s cheaper to produce, which makes their profit margin higher since the games are still the same price. Whether or not that pricing changes as this generation goes on remains to be seen.But right now it does almost feel like those of us that enjoy the physical game are being punished a bit. Where that argument does fall apart a bit is with the limited editions – developers and publishers have really stepped up the limited edition game in the last five or so years. So for now I think we’re in some kind of weird limbo – digital is still being promoted primarily, but the limited editions are still better physically. I don’t really ever see physical going totally away, but I do think eventually physical will be limited more. The worst time in gaming is the down time between releases – those couple weeks when the last new games you’ve picked up have either been beaten or the player count is starting to dwindle. Some games hold on for longer – I’m still knee deep in Dragon Age: Inquisition, and some games keep player counts up for a long time – Call of Duty and Halo both do that well. But almost every game has some point where the magic has run out and you need to put it down for a bit. For me, open-world sandbox games hit that point much faster than any other – Grand Theft Auto in particular for whatever reason. So with that in mind, I offer up how I’ve been fighting my burnout with Sunset Overdrive and Destiny – the two games that I’ve been at the wall with recently. 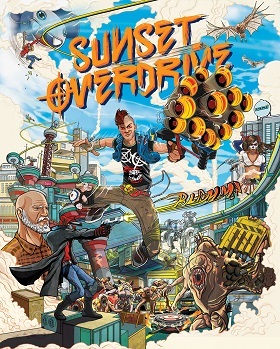 Sunset Overdrive is one of those open-world games where the immediate freedom is kind of both the problem and it’s also the draw. It’s a little different in that the movement mechanics help keep the pace up, and having fast travel really helps. The biggest problem comes from the sheer number of collectibles – which is always the biggest hurdle for games like this. It’s a big part of what pulled me off of Crackdown and Prototype. I had to grind my way through them in Darksiders, but the sequel just couldn’t hold me. Sunset has the same issue going – there are a lot of collectibles to grab, and while I’ve been making it a point of getting them, it does pull me out of the story. Which is the problem, because Sunset does actually have a really engaging story – helped by the humor and creativity of the world. Games with tons of collectibles like this I find it helps to focus on grabbing them as soon as possible, focus on them, then take a break from the game for a bit. Leave it for a week – I did and I came back yesterday to it refreshed and interested in finishing the game more. Sometimes that’s all it takes to shake off those doldrums. As for Destiny, that’s a different beast. For me, the burnout comes from the repetition in the game. It was my biggest issue with the game, aside of course from the story issues, from day one. I suppose what most players have hit now is less burnout, and more that they’ve hit the “end” – we’ve reached level 32 with weapons all maxed out. We’ve run the raids, gotten all the gear we want, and found all there is to find. Which means more that we’re in a waiting pattern for the next DLC set – right now it looks like it’s going to be coming in April. There’s always the PvP to play, but the problem is that the PvP is a little unbalanced. 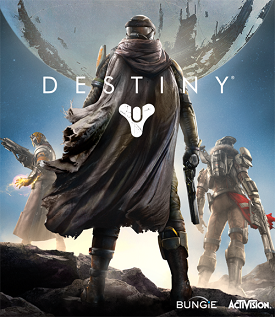 So Destiny is a little different – the burnout is more likely to be in the middle of the game. That period right after you hit level 20 and are stuck looking for gear with light, or grinding out marks to buy high level gear. That’s the period of time that you have to slog through – but it is worth it, since the raids and Nightfall strikes are the best part of the game. The other nice thing is that we are in a year where there’s going to be an incredible amount of games coming out. So if you’re suffering from a little bit of burnout this year, take a look at some games that maybe were under your radar, you might find a gem.